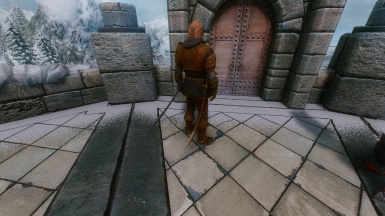 This is a Dual Sheath Redux patch for Bobs Armory Skyrim - Swords - Axes - Bows - Spears. Dual Sheath Redux Dual Sheath Redux requires a skeleton like XP32 or XPMSE, Java, and SKSE. 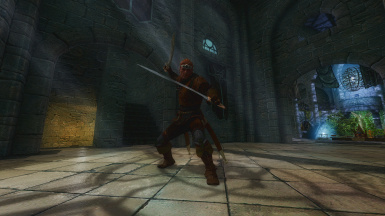 The models in this mod are used by permission from Mr. Dave, author of Bobs Armory Skyrim - Swords - Axes - Bows - Spears. His permission is absolutely required before you use any of these assets. 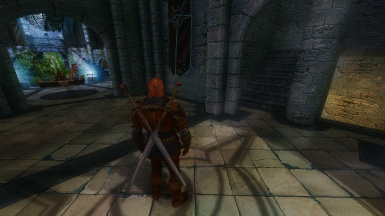 Bob's Armory is a unique collection that not only has a large assortment of Nordic weapons but also has a rare and sizable cache of Arabian style armaments. 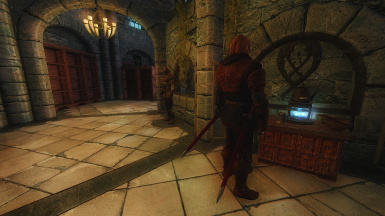 In addition to weapons and armor, Bob's Armory has a very large assortment of medieval clothing and jewelry which is cool for immersive role playing. Since I use Dual Shield Redux, I made this DSR patch for it. Many of the left-hand scabbard meshes for this mod required being brought into Blender to be mirrored (over half of the 1H weapons). This was necessary so that the scabbards would attach properly to the player. It was definitely worth the effort. The results speak for themselves. Additionally, all of these patch meshes were examined for invalid block names, and other potential things that could cause problems. As DSR patches go, this is a large one. 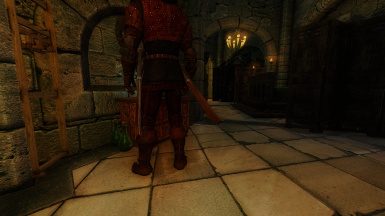 All total, this mod contains over 300 meshes. 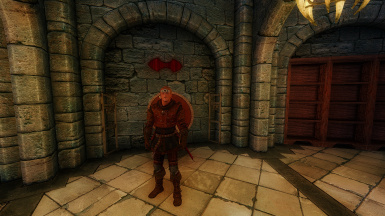 Currently, Bob's Armory is in Beta. Even though some meshes are not associated with any weapons or armor yet, I went ahead and created patches for all items knowing that eventually most, if not all of them, would be in use. To install or uninstall this mod, use any mod manager. After you install this mod, RUN THE DUAL SHEATH REDUX PATCH, or this mod will not work. This patch is compatible with all older versions of Bob's Armory. If you are installing Dual Sheath Redux for the first time, watch the tutorial videos on that mod's description page. I highly recommend you watch both installation videos before you install. For questions regarding installation or troubleshooting for the following mods, post your questions in their comment sections. 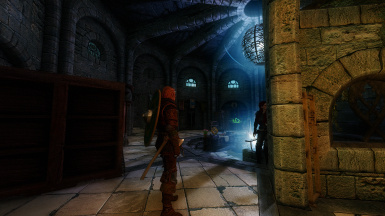 I will not be porting this mod to SSE, at least for a while. 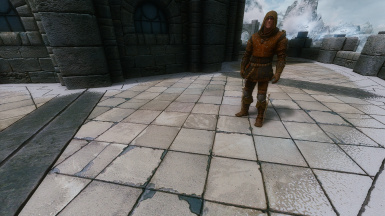 It should work just fine in SSE, though there may be issues with texture compression. According to Mr. Dave, "If you use the Nif Optimizer for SSE it will cure these issues right up. 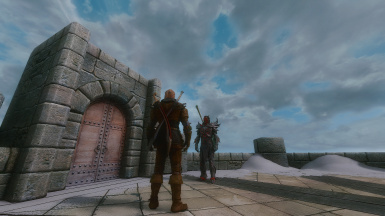 :)" so if you use this mod in SSE, leave a comment. 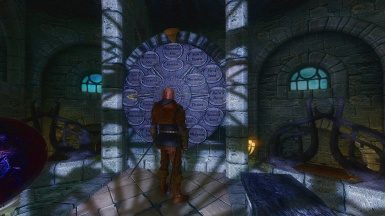 "90% of Skyrim's problems can be solved through reading, 90% of Skyrim's problems are caused by not reading" - Groovtama?